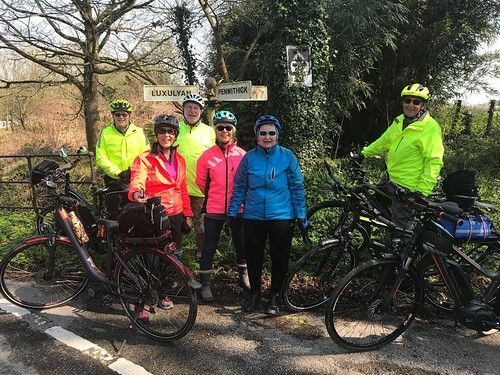 Cycling Group have completed two Rides in April. Starting at Pelyn Barn House (thank’s to Tina Lewarn for allowing us to park on her drive.) 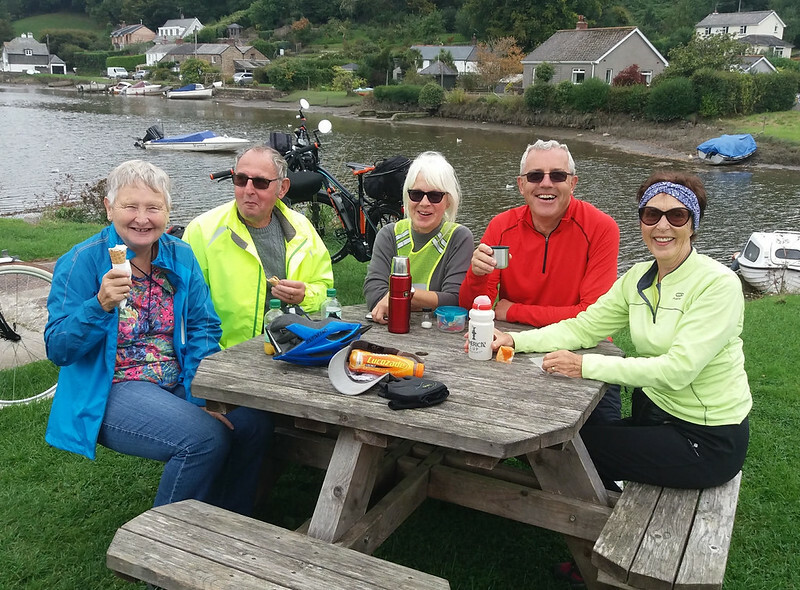 We then cycled to Treesmill, Tywardreath, Par Beach and Biscovey. Stopping at Eden for Lunch. Then on some of the clay trails to Luxulyan from there to Redmoor, Lanlivery and back to our cars. More photos from Cycling Group rides on our flickr page. At last a dry third Wednesday enabling eight Old Cranks to get their bikes out of the garage and on the road again. 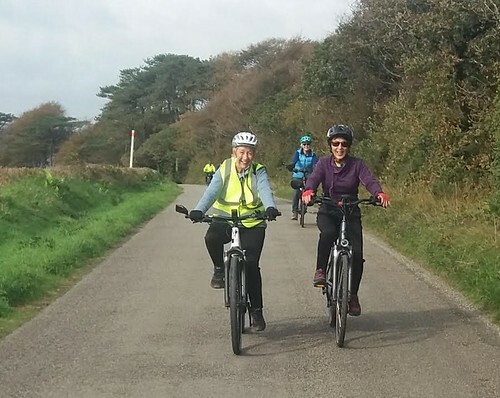 Our ride of 23 miles starting from Bodmin to St Breward up some pretty steep hills and across such a beautiful part of Bodmin Moor. Bikes parked at the Old Inn, St Breward. Can’t image where the riders are! Stopping at the Old Inn, St Breward for lunch. 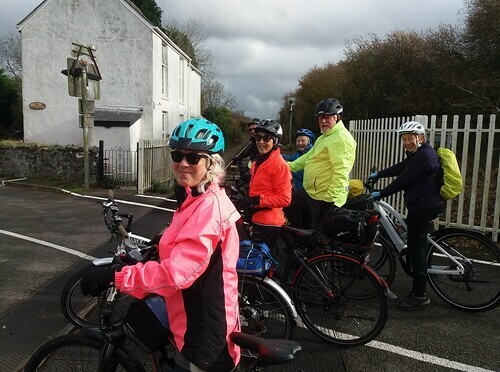 Then cycling down the long incline to the start of the Camel Trail at Wenford Bridge. Following the trail through to Scarlets Well, passing Bodmin Jail into Bodmin. Then up the road passed Lidl’s where we joined the new cycle lane up to our cars at Collywith Premier Inn who very kindly allowed us to park there. After lunch cycling on some really nice country roads to Belowda, Demelza, Tremorebridge, High Cross. and back to Innis Downs. 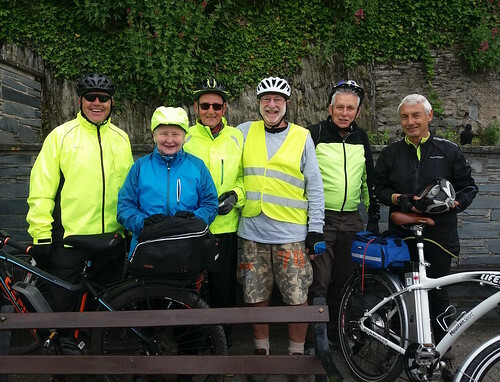 A ride of 20 miles - Seven riders including New U3A member Patricia Shuttlewood started from The Earl of Chatham, Lostwithiel. We cycle to Downend, Higher Courlands, passed Trewithen Dairy and on to Cardinham stopping for lunch in the Woods area. 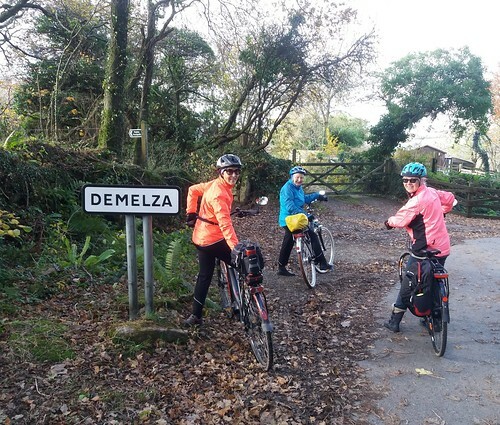 Returning back to Lostwithiel via Respryn Bridge which was closed for repair so we had to push and man handle our bikes up the wooden steps to by pass the works. The weather was perfect and so was the ride. 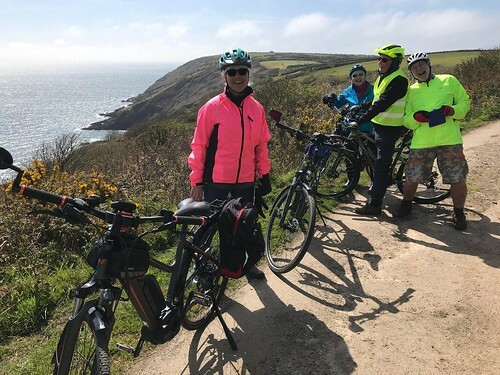 For the May ride we decided to cycle the Camel Trail from End to End and back. Unfortunately I was suffering from a poorly knee awaiting an xray next week so I opted to Start at Bodmin to Padstow. Got to Padstow in quick time, my knee bearing up well. On the return about 2 miles out of Padstow my rear tyre split so much so that even the U3A supplied puncture kits were of no use. Consequently I had to push my bike back to Wadebride which was not a good experience. Nick Warrick accompanied me and then cycled back to Bodmin to his car. Returning to Wadebride to pick me up and take me back to Bodmin to my car. I then had to go back to Wadebride to retrieve my bike. 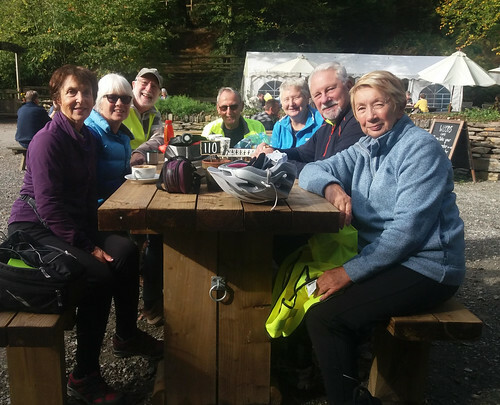 The other riders were so helpful and supporting in true U3A fashion and I must thank them all. I will put this one down as a ride not to be remembered. The Old Cranks have been out on their machines again pedalling the tarmac. 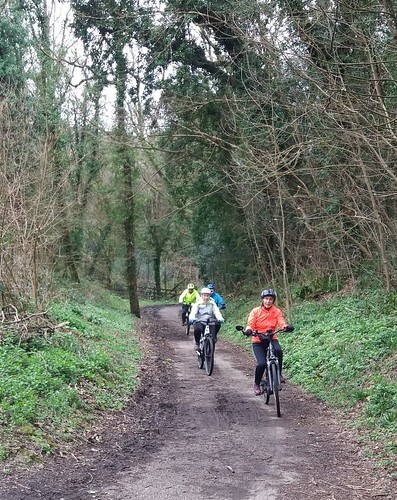 The April ride started at Lanhydrock Village hall, cycling on the trail and over the A30 foot bridge and through the woods. Down to the Dragon Centre and the school path to roads leading to Nanstallon. Then through some lovely countryside to our lunch stop at Roche Services. After lunch a few more miles around Bokiddick Downs and back to ours cars. 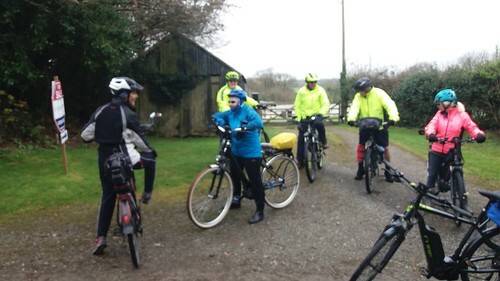 A great ride of 20 miles enjoyed by 9 riders. 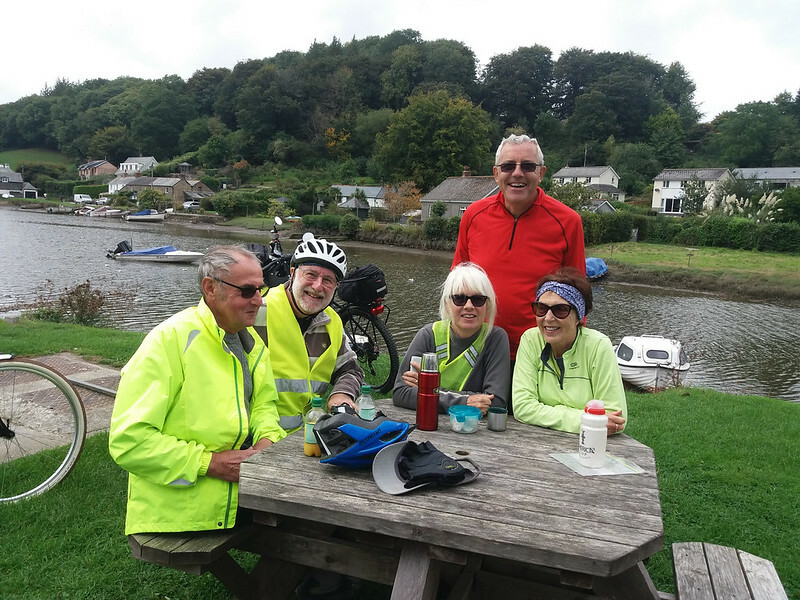 At last a dry day for our 10 Riders Starting at the Borough Arms Bodmin, cycling on the Camel Trail to Wadebridge then on Roads to St Breock, Burlawn, St Wenn for our lunch stop at the picnic table in the School Playing Field. By kind permission of the Headmistress. After lunch back to the cars via Nanstallon. It was lovely ride with plenty of challenging hills. The views from St Breock Downs are quite something, you can see for miles.